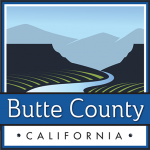 Butte County, CA Enhancement: Probate & Family Case Records! Thanks to updates from the Butte County Superior Court, CourtTrax is now able to deliver Probate and Family case record information! Combined with existing access to Civil and Criminal records, CourtTrax can now provide its customers a more enriched profile of information from Butte County, California. The Superior Court of Butte County serves over 220,000 residents. And with this release, CourtTrax further extends its coverage of California Superior Courts, which includes case record access to Contra Costa, Fresno, Glenn, Kern, Los Angeles, Marin, Monterey, Orange, Placer, Riverside, Sacramento, San Bernardino, San Diego, San Francisco, San Joaquin, San Mateo, Santa Clara, Santa Cruz, Stanislaus, and Ventura Counties. And as with all other CourtTrax Courts, case detail reports remain in “Saved Searches” on the CourtTrax desktop for 60 days. Results can be saved to your local drive without a time limit, thus eliminating the risk of additional charges should previously retrieved information need to be reviewed in the future. If you have any questions about Butte County Superior Court, the other California Superior Courts, or any of our other products and services, contact us at customerservice@courttrax.com or give us a call: 866-643-7084 (Option 2).